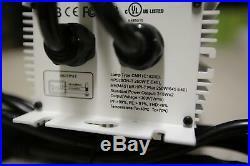 630 Watt Dual Lamp CMH/MH/HPS Ballast - Knob dimmable. 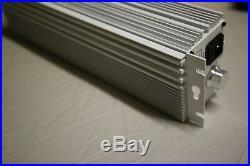 Consumes 40% less energy than an 1000 watt HPS bulb! EASY TO INSTALL Universal Square Lamp connectors fit most hoods/reflectors. 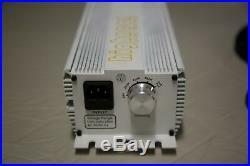 CMH 315/330 Watt MH/HPS 400 Watt. THD (Total Harmonic Distortion) <6% very low loss/noise! Run 10 lamps on a single 20A 240V circuit! Highnoon CMH is dedicated to providing innovative and high performing lights to the market and focuses on you the customer. Save energy and increase yields by switching to CMH! 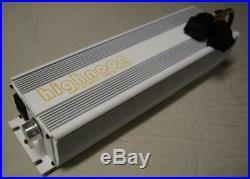 Highnoon CMH ballasts and bulbs are custom designed and manufactured to the highest specification. Extremely low THD <6%(Total Harmonic Distortion). 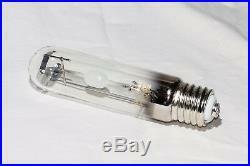 The PAR these bulbs put out is the highest in the industry with CRI >94 for the 4000K bulb - that's usable sunlight (photosynthetically active radiation) your plants love best! 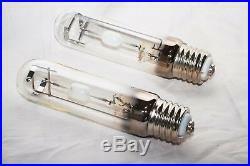 Available as a kit with Two 315 Watt E39 Bulbs and 110/220v power cord of your choice. Times determined by carrier and are subject to change. We take our reputation seriously. 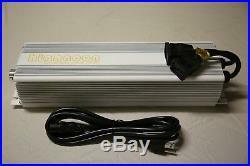 The item "630 Watt Dimmable CMH Grow Light Ballast (Dual Lamp 315w) Retrofit your hoods" is in sale since Sunday, April 7, 2019. This item is in the category "Home & Garden\Yard, Garden & Outdoor Living\Gardening Supplies\Hydroponics & Seed Starting\Grow Light Kits". 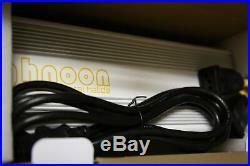 The seller is "highnoon-hydro" and is located in Boulder, Colorado. 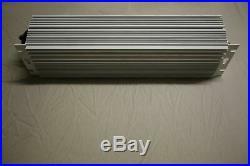 This item can be shipped to United States, Canada, United Kingdom, Denmark, Romania, Slovakia, Bulgaria, Czech republic, Finland, Hungary, Latvia, Lithuania, Malta, Estonia, Australia, Greece, Portugal, Cyprus, Slovenia, Japan, China, Sweden, South Korea, Indonesia, Taiwan, South africa, Thailand, Belgium, France, Hong Kong, Ireland, Netherlands, Poland, Spain, Italy, Germany, Austria, Bahamas, Israel, Mexico, New Zealand, Philippines, Singapore, Switzerland, Norway, Saudi arabia, Ukraine, United arab emirates, Qatar, Kuwait, Bahrain, Croatia, Malaysia, Brazil, Chile, Colombia, Costa rica, Panama, Trinidad and tobago, Guatemala, Honduras, Jamaica, Aruba, Ecuador, Guadeloupe, Iceland, Luxembourg, Maldives, Oman, Peru, Pakistan, Paraguay, Reunion, Viet nam, Uruguay.